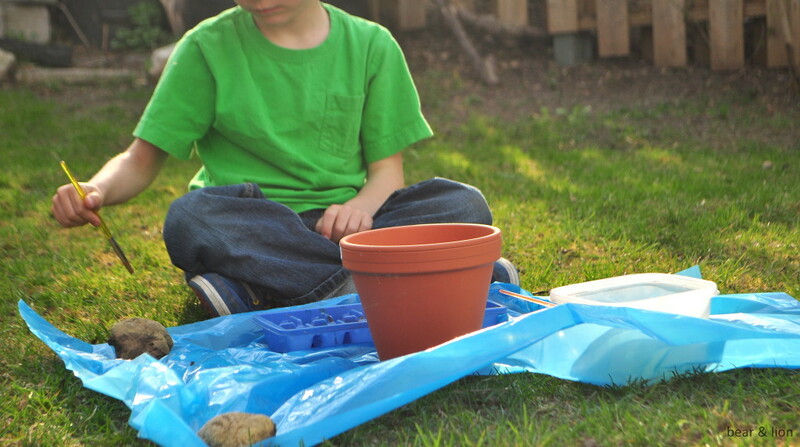 Something to do when my grandsons visit later this summer!! Thanks for the idea. 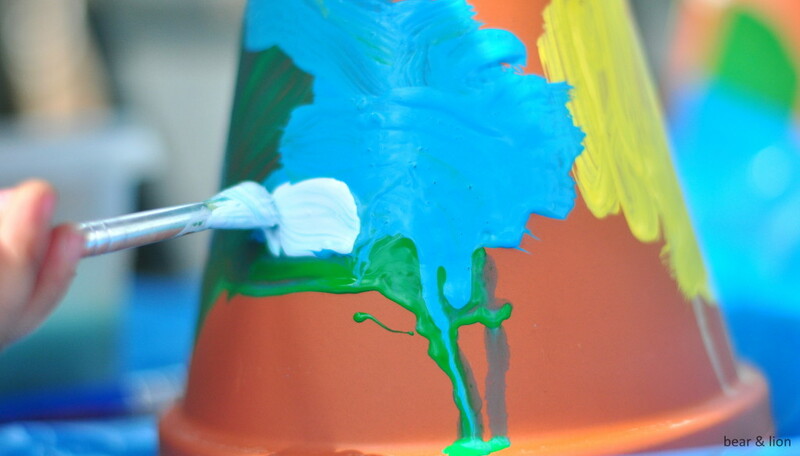 I love their Picasso style. 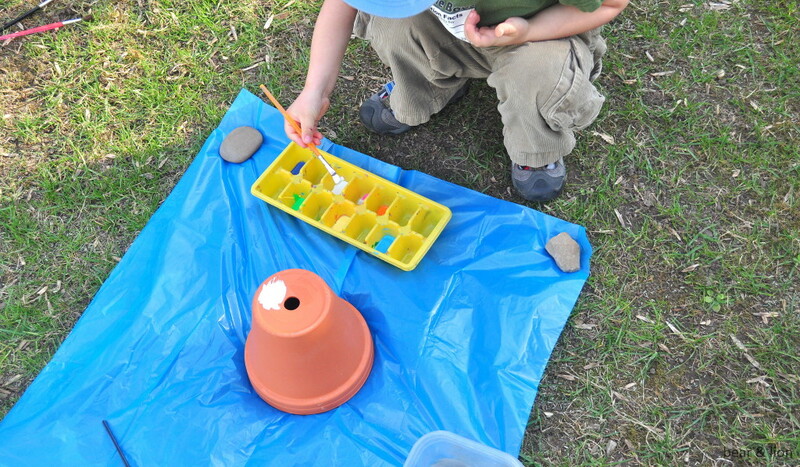 It’s a great kids activity especially outdoors. It’s like, hey mom, look no TV. Great project! 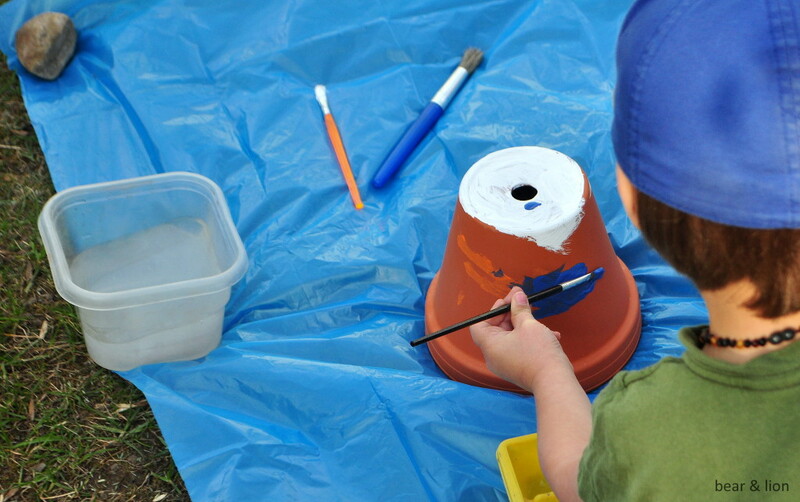 I am always looking for fun activities to do with visiting kids, this is a perfect outdoor project! 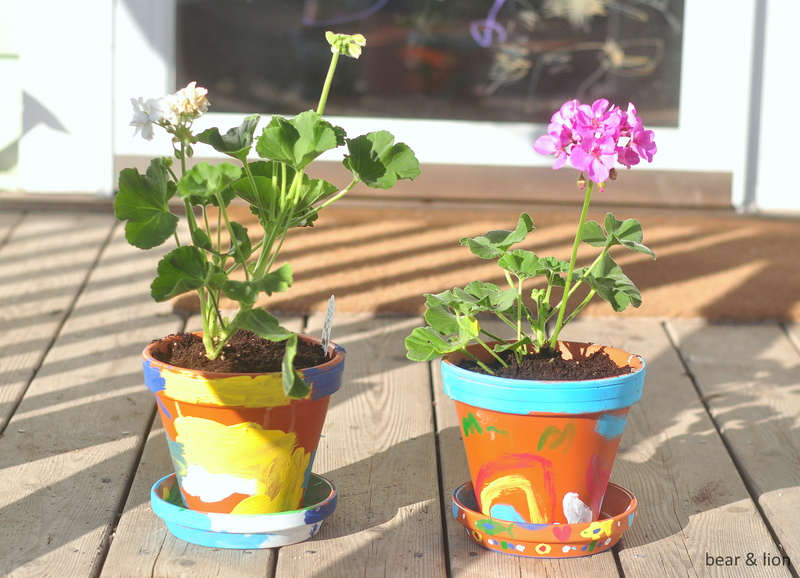 Awww, these flower pots are so adorable! I love painted flower pots too because they’re all colourful and then the flowers bloom and they’re SUPER colourful. 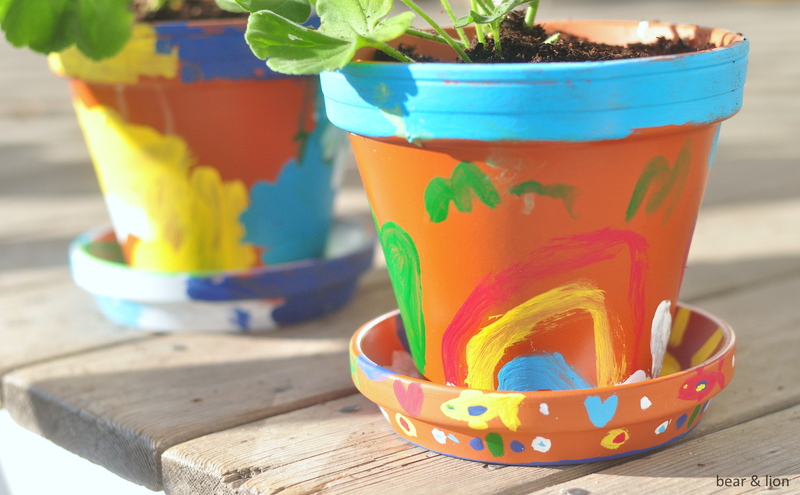 I like to put spider plants in painted flower pots because then the “artwork” is REALLY showcased against the background of a simple green. 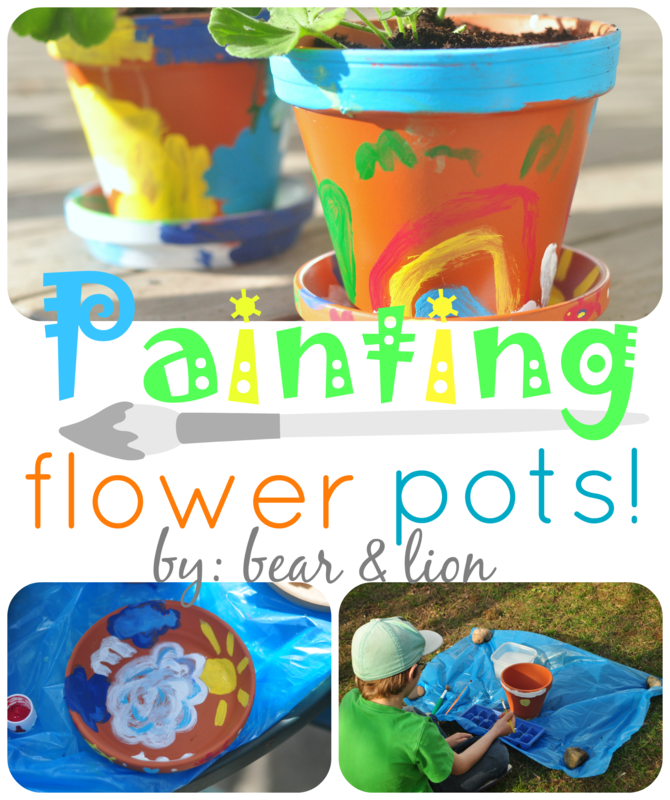 Cute pots and a great activity for the kids! !